Each Year Over 125+ Networking Events! The Biz To Biz VIP Membership is designed to help you save money all year long! ALL of the regular after hour networking events for one full year. 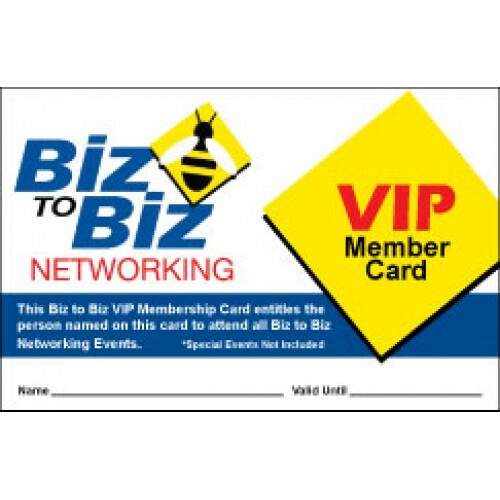 The Biz to Biz VIP Membership is a great value. No Refund or Transfer of Memberships.